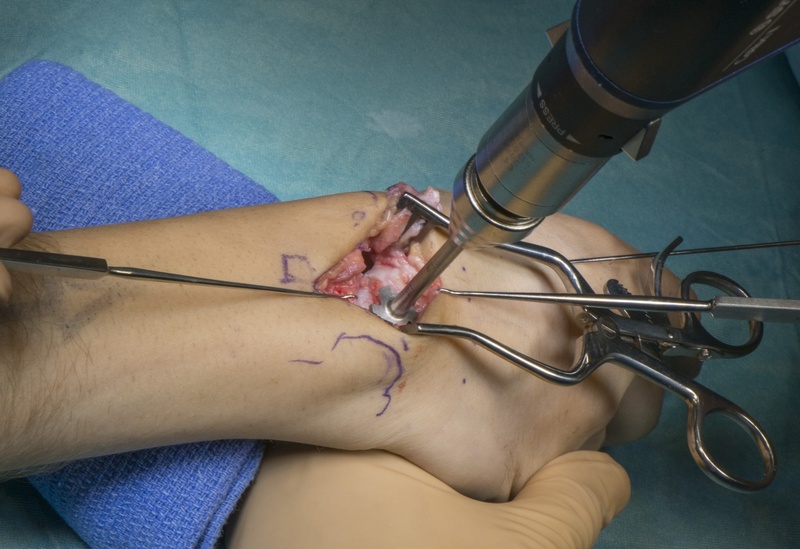 Learn the Four Corner Fusion using Medartis plate and scaphoid excision surgical technique with step by step instructions on OrthOracle. Our e-learning platform contains high resolution images and a certified CME of the Four Corner Fusion using Medartis plate and scaphoid excision surgical procedure. This is a detailed step by step instruction through a Four Corner fusion and scaphoid excision using a dorsal low profile titanium plate from MedartisTM. This is a salvage operation usually undertaken when the scaphoid fossa is damaged and arthritic most commonly from a Scaphoid non-union advanced collapse (SNAC ) stage 2 and above or Scapholunate advanced collapse (SLAC) stage 2 and above. Rarely it can also be undertaken in the acute setting with complex carpal injuries and dislocations.